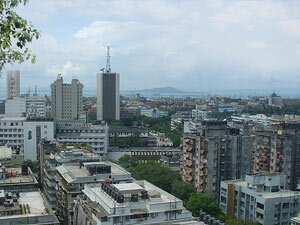 Like most cities with a rich and vibrant history and an equally thriving modern-day life, there is much to be done and seen in Mumbai, Though not a very large metropolis in terms of area, being the business hub of India has meant that the city has acquired many different faces, each molded by the lives of its multi-cultural inhabitants. The good part about Mumbai is that most things worth seeing are concentrated in the Southern and Western Suburbs region of the city. Start your day early in the morning with a walk around the seaside Jogger's Park at Bandra and enjoy a fantastic view of the Arabian Sea. A morning at the Park is truly a treat, for it is here that people from Mumbai's different walks of life congregate to soak in the early morning atmosphere. Have a sumptuous breakfast at any of the numerous eateries lining the Carter Road area of Bombay. Though many places don’t open until lunch time, you should be able to find a good and hearty treat at the smaller joints and street stalls. 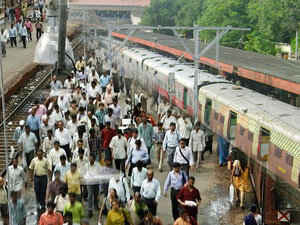 If you're in the mood for shopping, then Bandra offers numerous delights. The Linking Road and Hill Road are parallel shopping streets, where you can find everything from designer boutiques to street side rip-offs. Once you've had your morning fill and if you are feeling particularly adventurous, then jump into a 'local' from the Bandra station and head for Church Gate Station of South Mumbai. Alternatively, you could just take a taxi and save yourself a lot of jostling and pushing. 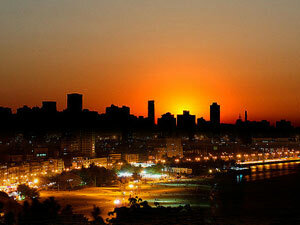 It is here in South Bombay that one really feels the pulse of the city. Hop into a taxi and tell the driver to take you around the BMC (Brihamumbai Municipal Corporation) building, the VT Station (Victoria Terminus, now known as the Chhatrapati Shivaji Stadium), the Flora Fountain and Fort area. The entire area has been built in old English styles, replete with steeples and gargoyles. 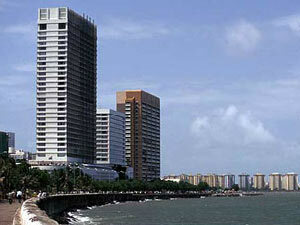 The Fort area has many well known restaurants that offer various cuisines, both Indian and International. But to really get a feel of the city you have to visit one of Mumbai's Irani Cafes. Ask any taxi to take you to Britannia and Co, a small cozy eatery in Ballard Estate. The food is generous and so is the nostalgia that comes with it. Not to be missed is their Berry Pulav that comes in mutton, chicken and vegetarian variants. Top it off with some caramel custard. Once you have lunch out of the way, walk around this part of the city, see and feel the energy and vibrancy of the place and people and pick up some odd knick-knacks from the corridor and street sellers, you'll be surprised at how far your dollar goes. Once evening starts setting in, head straight to Colaba Causeway, home to the legendary Leopold Cafe. The street are lined on either side with stalls and shops selling junk jewelery, trendy clothes, souvenirs, silver ornaments and other sundry items. If you have worked up an appetite by now, then drop in to Leopold for a quick bite and sip. 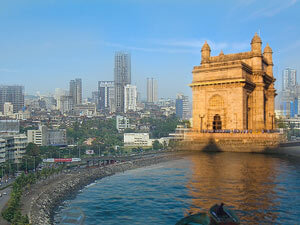 Just behind the Colaba Causeway is situated the Taj MahalPalace and Tower, the epitome of luxury, true to its name. Stroll in front of the hotel and admire the Palace on one side and the imposing Gateway of India on the other, as you see the sun set on the city of Mumbai. Walk back to the causeway and wrap up any last minute shopping that may be left and prepare for dinner. For those of you on a budget, The Dilli Darbar located on the causeway offers great Mughlai food at affordable costs. For a more upscale option you can take a taxi to the Khyber restaurant at the Fort area. After finishing off with dinner, take a cab to Marine drive and ask to be dropped off at Natural's ice cream parlour. Naturals offers creamy homemade ice cream in a variety of seasonal and classic flavors. You can ask for a taste before you make your choice. Order scoops of your choice and then cross the road to reach Marine Drive. Sit or stroll on the Drive as Mumbaikars wrap up just another day and watch as you close the story called Mumbai.